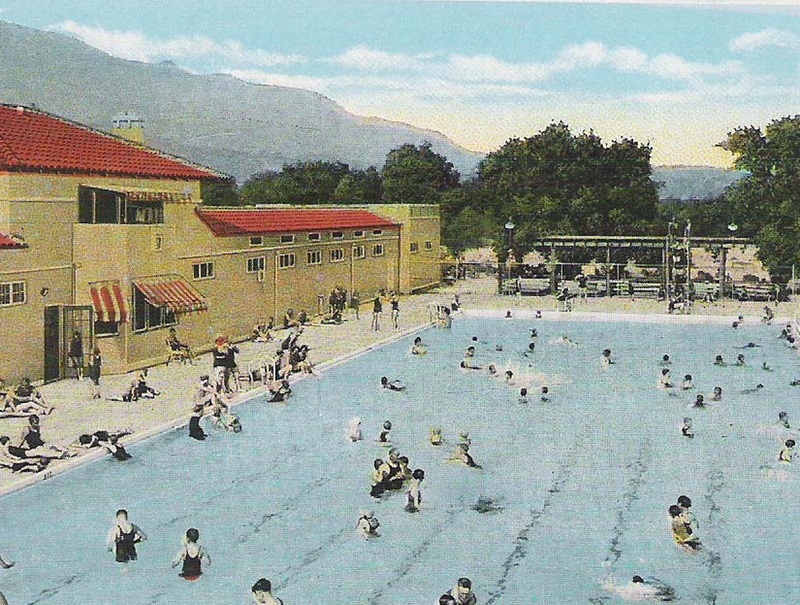 The photos below show the original pool area behind the museum and some of the numerous exhibits currently on display. To see a larger picture, click on the image. 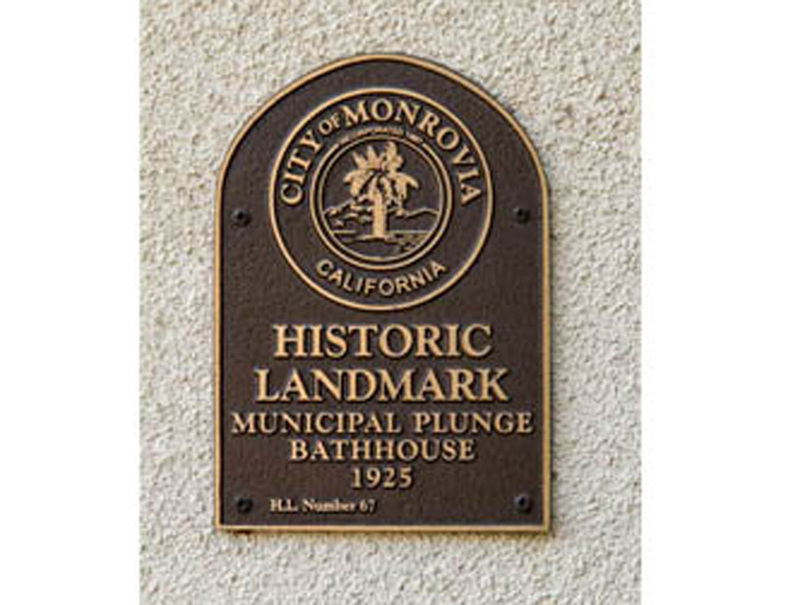 The area behind the museum was once the city plunge. 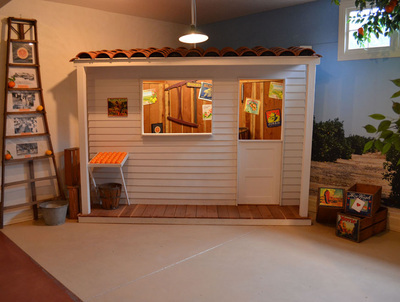 It is now a patio for special events. 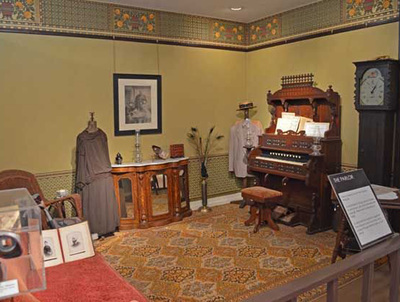 The museum is an example of the Spanish Colonial Revival style of architecture. 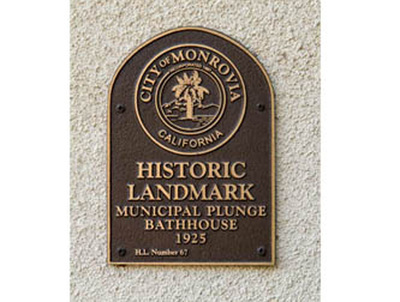 The building was landmarked in 2004 (HL# 67). A recent addition to the museum is this horse-drawn buggy. 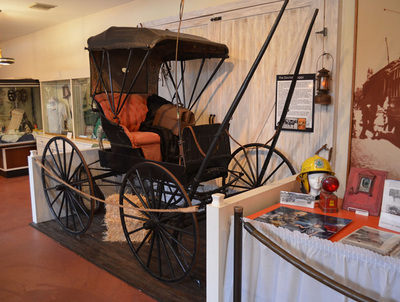 In the early days before the automobile, this would have been one of the primary means of transportation in town. 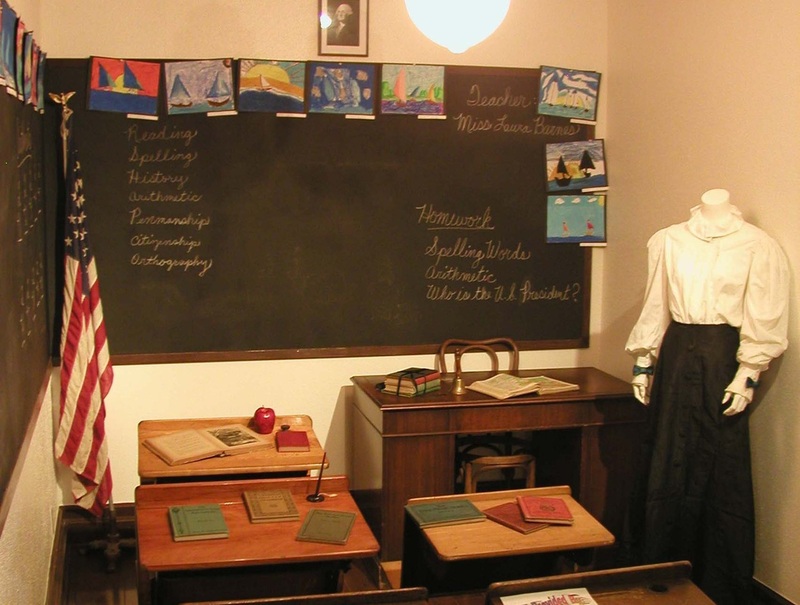 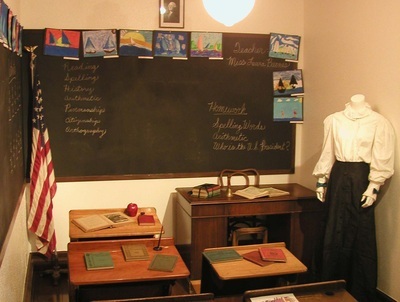 A century ago, classrooms looked very much like the one depicted in this exhibit. 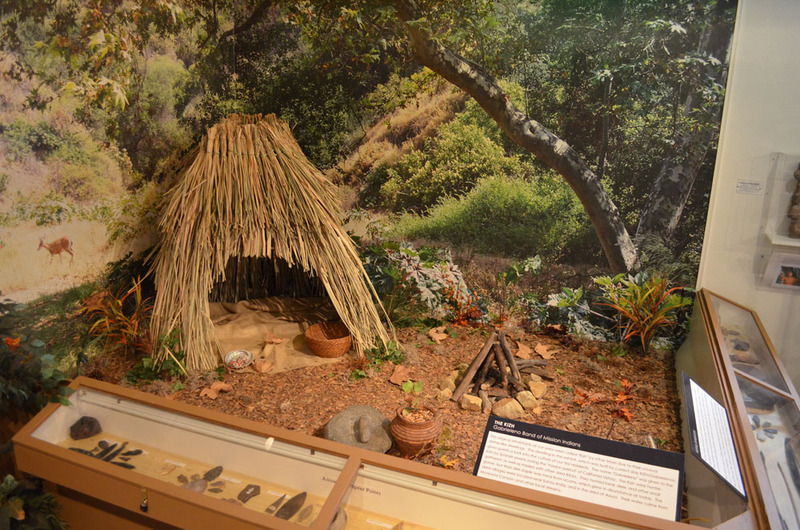 The Native American exhibit was launched with a special Indian ceremony at the museum by representatives of the Gabrielino band of Indians. Completed in time for the 2013 MOHPG Mother's Day Home Tour, this exhibit showcases many of the icons for which Monrovia is known (e.g., the letter "M" in the hills and the Boxx Jewelers street clock). 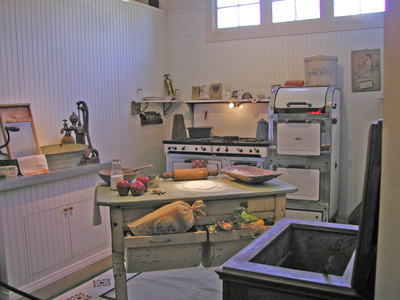 This turn-of-the-century kitchen features a stove formerly belonging to the family of WWII General George S. Patton. An exhibit on the orange industry reflects the fact that oranges were a big produce crop in early Monrovia. 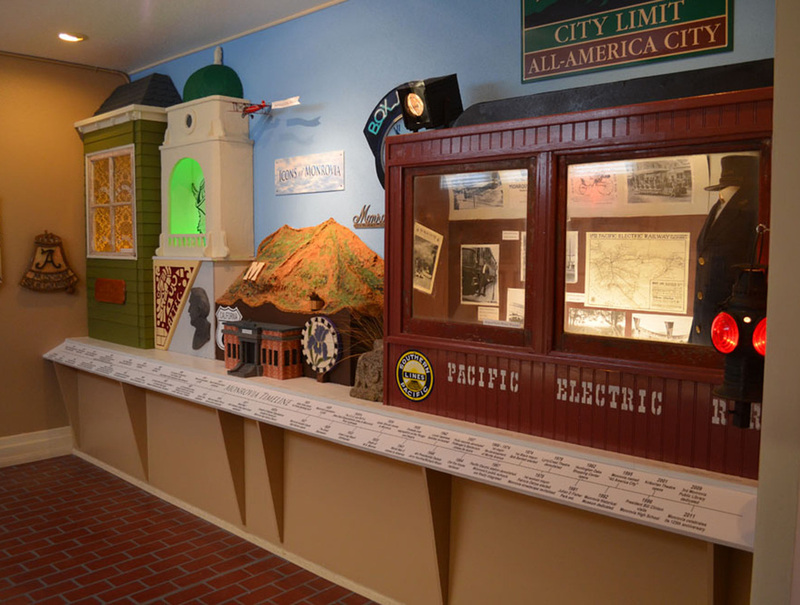 Thousands of rail cars full of oranges were shipped back east. A circa 1890s pump organ has center stage in this depiction of a late nineteenth century parlor. 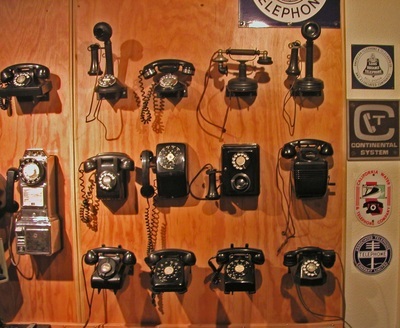 This photo shows only a portion of the many antique phones on display. 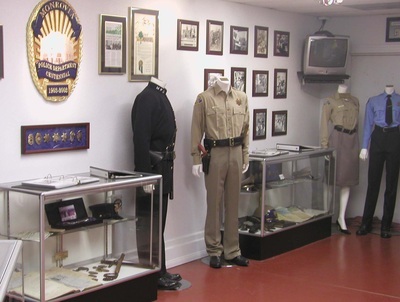 The Monrovia Police Exhibit is one of the more popular rooms in the exhibit area. 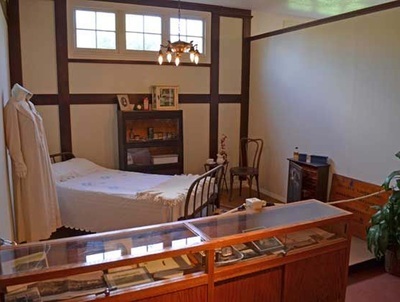 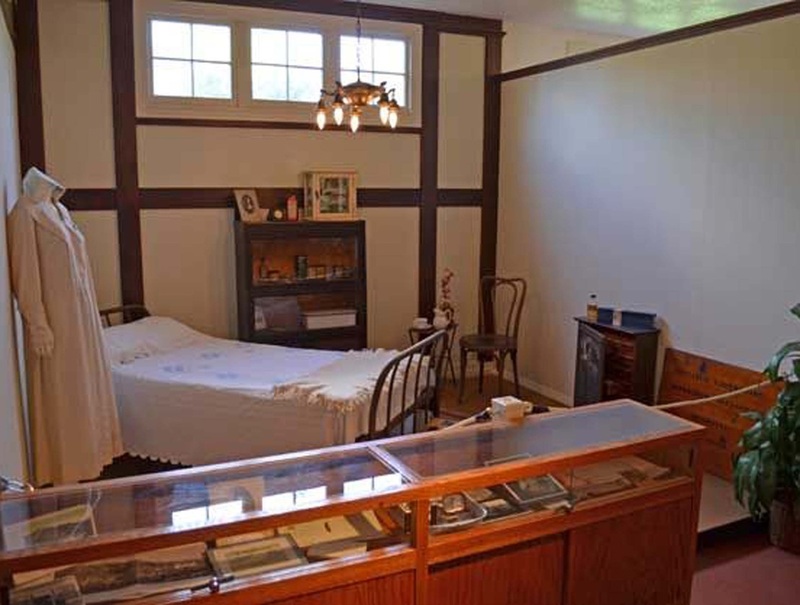 Artifacts from the Pottenger Sanatorium, which operated from 1903 - 1950s as a hospital for the treatment of diseases of the chest, can be seen in this display. 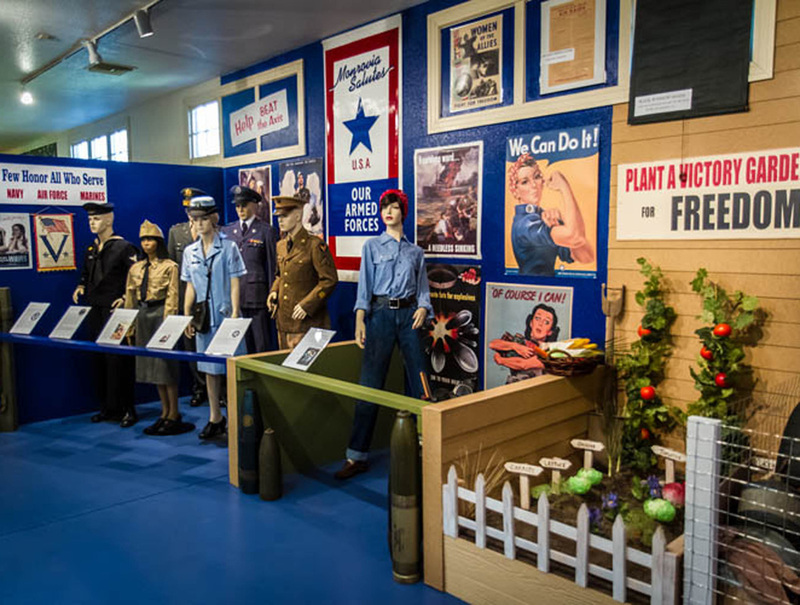 Monrovia's veterans from World War II are honored in this collection of artifacts from that time period.